With increasing pollution and decreasing resistance, allergies and infections are on the rise. We often experience itching and inflammations which cause discomfort and irritation on the skin. For instant relief, anti-itch creams are the best solution. Apply them on the skin and get free from the irritation on the skin. It is always better to apply some ointment on such areas than to scratch them and make them worse. This article unfolds the list of some of the most popular and effective anti-itching creams in India which are known for their wonderful results. So if you are suffering from any such skin allergy or irritation then use these creams for quick relief and say goodbye to scratching. 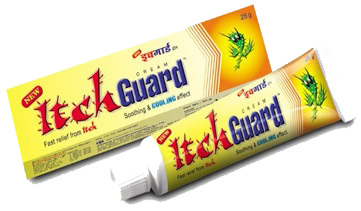 Itch Guard is one of the best brands in India for itching and irritation related with problems like eczema. It promises fastest relief from itch thereby leaving your skin with a cooling and soothing effect. Get an instant relief from inflammation and skin on skin within single application. It is a product from Paras Pharmaceuticals Ltd. which is very helpful in jock itch and infection between toes and fingers. You can even apply to folds of inner thighs, armpits and on waists etc. 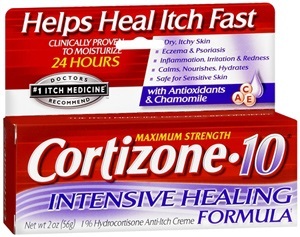 Cortizone 10 Intensive Healing is another very popular brand in India for anti-itch creams. It is an ultra-creamy formula which is known to contain the maximum level of hydrocortisone with moisturizers, antioxidants and chamomile to provide fast relief from itching. It is a clinically proven cream which moisturizes for 24 hours and is completely safe for sensitive skin. It works effectively on skin areas with problems like eczema, psoriasis, inflammation, irritation and redness. 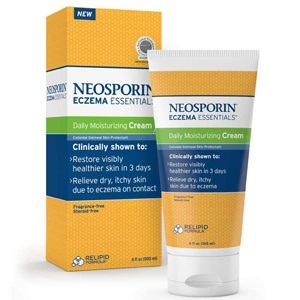 Neosporin Eczema Essentials in another very effective cream in India which is highly effective in itches caused by eczema. It provides fast relief from eczema flares. It is a dermatologically tested cream which provides relief from dryness, flaking and redness on skin. It moisturizes skin and helps in restoring healthy skin by helping skin recover from itching. 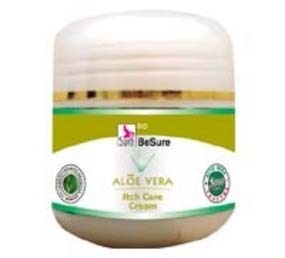 This Aloe Vera Itch Care Cream is made using natural ingredients that make it safe and highly effective. It is perfect for all skin types. The coolness of aloe vera provides instant relief from insect bites and itches. This Ayurvedic preparation has been prepared using the ancient texts and modern science to create a potent ointment that offers instant relief. It is a mix of pure Aloe Vera gel with dimethicon wax, jojoba oil, menthol and Geno C50. Allegra Anti-Itch Cream is a beautiful combination which provides fast relief from intense itch. The cold formulation of this ointment provides comfort from skin irritation. The Intensive Relief Cream contains a histamine blocker to fight itches caused by skin irritations at their sources along with deeply moisturizing and relieving your dry and cracked skin. It also works beautifully on sunburns, minor burns and skin irritations. These are some of the most popular anti-itch creams in India which have been providing comfort and ease from irritating itches and inflammations. Apply them to the affected skin area and experience complete relief from all kinds of skin issues.